The best page for the latest Olive Garden Menu Prices! Olive Garden is an American casual dining restaurant offering modern-day Italian specialties that include their famous pasta dishes & unlimited breadsticks, appetizers, soups & salads, classic meat dishes, seafood, and desserts. Along with an enticing lunch and dinner menu, Olive Garden continually introduces special dishes to their guests. Visit often so you can try them all. At Olive Garden, food always tastes better in the company of family. Dining alone, as a couple, or a large family gathering, Olive Garden will welcome you like you are family. Below are the latest Olive Garden menu prices. Flavorful entrees under 575 calories! For any occasion, order and pick up at your local Olive Garden. Starting in 2016, Olive Garden is adding catering delivery to all their locations in the U.S. & Canada. Fans of Olive Garden can now have their favorites delivered for any occasion including family events, corporate meetings, or tailgating parties. For more details, go online or contact your local Olive Garden restaurant to get more details on food items and pricing. Restaurant Meal Prices is your quick, go-to place to search for Olive Garden menu prices. But feel free to visit the official Olive Garden website to get additional information. The website is well laid out and easy to navigate. Today, knowing the nutritional information of the foods we consume is important to consumers. Olive Garden understands that consumers are well informed and constantly searching for information. The Olive Garden website offers a nutritional guide for all their dishes but that is not all. For Vegetarians & Vegans, Olive Garden has posted a special menu that you can choose from. And for those patrons that are looking for calorie restricted food choices, take a peek at the Lighter Italian Fare menu. Olive Garden wants you to become part of their extended family by joining their eClub. Membership is free and the benefits include coupons, special offers, and the latest news and menu offerings. Did we mention the free dessert or appetizer for signing up? Check the website for more details. For Olive Garden fans that don’t have time to stop in and join us for dinner, you can always order your favorites ahead of time and pick them on your way home from work or soccer practice. Go online and check out the ToGo menu, select what you want, pick a time to have it ready, and there it is. Italian for dinner in a snap! For those loyal customers that really like the Olive Garden concept, are looking for a career in the foodservice industry, and want to be part of a family head over to the Careers section on the Olive Garden website for current openings. Olive Garden offers extensive training, flexible work schedules, and competitive pay & benefits. Olive Garden is committed to serving the local community through several outreach programs. Their programs include donating food items to local food banks, awarding grants to local non-profit organizations, donating a portion of proceeds from new restaurant openings, and donating meals to local families that have been affected by natural disasters. Bambino is Italian for the little one and Olive Garden is a great place for kids to visit and eat. It is not just about the great tasting food the kids love but also the Olive Garden characters and activities that keep them coming back. Now, Olive Garden has a new app that kids can download and explore cool places, all in 3D! Don’t forget the famous Olive Garden coloring activity sheet. Olive Garden has a strong social media presence. You can connect, follow, and share through various social media platforms. To view more information about Olive Garden, visit their official website. Does Olive Garden do anything special for a Birthday celebration? By signing up for the eClub newsletter, members receive a complimentary dessert for their birthday when they dine at Olive Garden. Are Olive Garden meatballs gluten-free? Olive Garden meatballs are not gluten-free. Olive Garden does offer a selection of menu items for patrons with eating sensitivities or restricted diets. There is a ‘gluten-sensitive’ menu guide that offers detailed information on what to eat. Olive Garden hours of operation are? Most Olive Garden locations are open at 11:00 am for lunch and close at 11:00 pm. 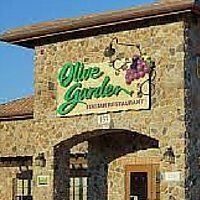 Select Olive Garden locations may have different times. It is recommended that you contact your local Olive Garden to confirm hours of operation. Where can I buy Olive Garden gift cards? Everyone loves Italian food! Give that someone special or co-worker an Olive Garden gift card. You can buy Olive Garden gift cards at any location. You get to choose your own unique design and send it with a personalized note via mail. You can also send an e-gift card that you order from the Olive Garden website and it is delivered to the recipient’s email box instantaneously. Great for last minute gift giving. Who owns Olive Garden and where are they headquartered? The first Olive Garden was opened in December 1982 in Orlando, Florida as a unit of General Mills. Today, Olive Garden, a subsidiary of Darden Inc., has more than 800 locations around the world. It is headquartered in Orlando, FL. Darden Inc. is a publicly traded company. I NEED U TO ADD PICS!!!!! Hi what is your food menu today? Olive Garden has changed the hours of their Lunch menu. It now ends at 3 pm. I would like to visit an Olive Garden Restaurant. I have been there before, but now I have to be on a very restrictive diet: no gluten and no dairy. I know that excludes most everything Olive Garden offers. I want to bring several friends with me who can eat unrestricted diets, so they are not the problem, but I am. Would you please give me a list of gluten-free and cheese-free menu items that I could eat?